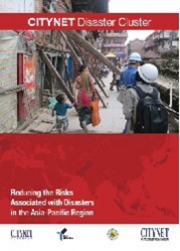 Reports on Disaster Cluster activities (annual). CityVoices magazine, published twice yearly, is a collection of experiences and reflections on CITYNET projects as experienced by partners and member city officials. With articles from CITYNET members and partners, CityVoices is designed to gather and collect the knowledge and experiences of the individuals in our member cities. 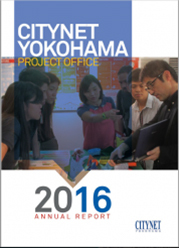 Each issue focuses on a particular theme related to CITYNET’s mission to build sustainable and people-friendly cities. 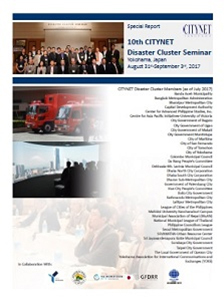 Newsletters are released six times per year, and offer information on both CITYNET and partner organization events and activities. Delivered straight to your inbox, our newsletters are a resource for information on CITYNET Secretariat, member city, and partner activities. This publication is designed so that our members and interested individuals can always stay up to date on up-coming events and activities in their region. If you would like to learn more about how to submit your events and activities to the CITYNET newsletter, email communication(at)citynet-ap.org. If you would like to sign up for our newsletter, please enter your address in the sign-up box in the footer of this page. 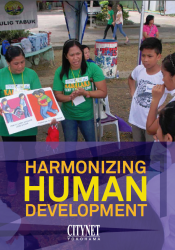 Cluster Updates give an overview of the activities and programs that have taken place in each cluster area in the preceding months. Usually released twice per year, these publications contain presentations, reports, and expertise from around our network. The CITYNET Blog features posts and publications from CITYNET member city officials, partners, interns, and staff. Focusing on CITYNET target areas and activities, this is one more way to stay connected to urban development and activism through CITYNET.